Lately, I've been looking for ways to make dinner prep a little easier. So I decided to put together a series of 4 recipes using a rotisserie chicken, something that can be picked up at the store on your way home from work and then combined with a few simple ingredients that may already be in your kitchen. The first recipe in the series is Chicken and Rice Casserole. Melt the butter in a small to medium sauce pan. Add in the flour, chicken bouillon, and milk. Stir to combine. Stir occasionally until it reaches a boil and remove from heat. 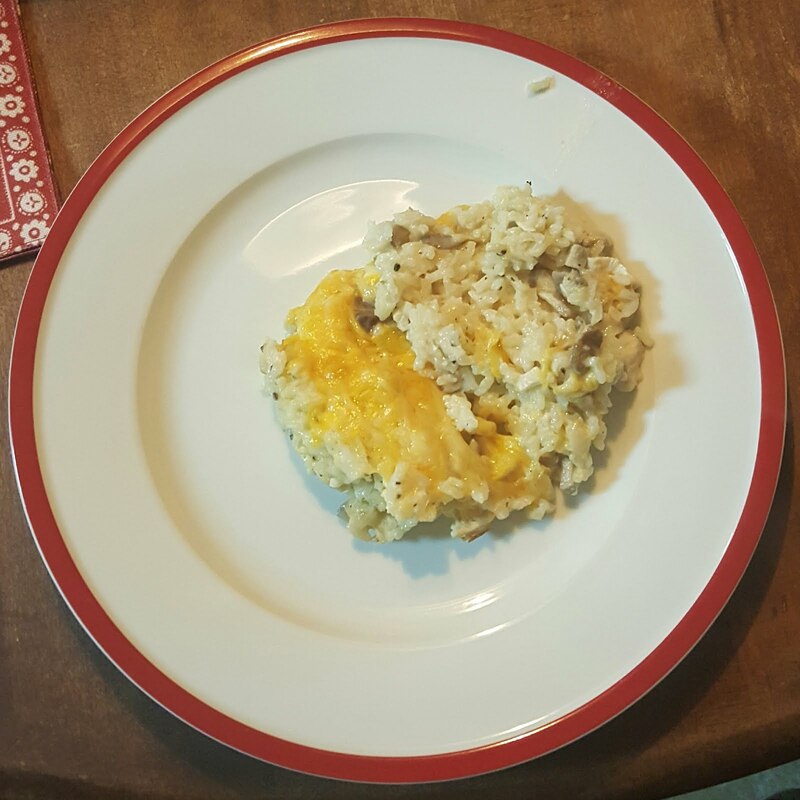 In an 11 x 17 baking dish, combine the rice, chicken, and mushrooms. Spread evenly around baking dish. Pour the chicken bouillon mixture over the rice, making sure to cover the rice evenly. Salt and pepper to taste. Top with cheese. Bake in the oven, uncovered, for 1 hour, or until the cheese is melted and starts to brown.